October 24, 2016 (CHICAGO) -- Q-BBQ, Michelin Guide’s Bib Gourmand-winning restaurant and a Chicagoland favorite, will celebrate the Chicago Cubs entering the World Series for the first time since 1945 by smoking a goat at their pop-up restaurant in Chicago’s most iconic building, The Willis Tower. The Cubs have not won a World Series since 1908 and fans believe a curse was placed on the team after a local tavern owner was asked to leave Wrigley Field with his goat in 1945. Though many fans have since tried to break the curse, the pop-up restaurant in Chicago’s tallest building will offer a way for more Cubs fans to participate than any previous attempt. For Q-BBQ, it’s not just about breaking a curse or celebrating, it’s about doing what they do best: smoking and barbecuing succulent meat. And what is more American than baseball and barbeque? Q-BBQ will rub the goat with their thirteen spice blend and then smoke it over Hickory and Applewood logs for eight hours. It will be available (while supplies last) as a sandwich $10.08 served with Q-BBQ’s homemade chimichurri sauce as an homage to the last year the Cubs won the World Series 108 years ago. After hosting a sold-out pop-up restaurant at the Willis Tower in February, Q-BBQ is returning to the Loop’s most famous building with even more of its award-winning 22-hour hickory smoked brisket and other fan-favorite meals. Lines during the February pop-up stretched around the interior of the building and even bigger crowds are expected for the week of lunch service from October 24-28 from 10 AM to 2 PM daily. Smoked goat will be available beginning Tuesday, October 25, the 1st day of the World Series. Q-BBQ’s Pop-Up Restaurant will also feature grab-n-go favs: choice of smoked meats: pulled pork, chopped brisket, and pulled chicken available as a plate with two sides ($8-$11) or as a sandwich ($6.99). Salads ($8) with a choice of smoked meats or a SouthWest Salad. From scratch sides ($1.99) include: Creamy Slaw, BBQ Baked Beans, Mac-Q-Roni and Cornbread. 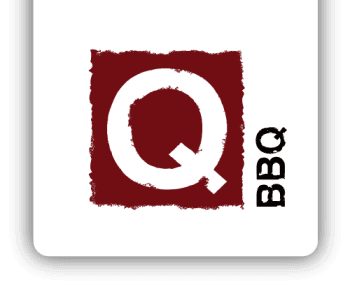 Q-BBQ is a fast-casual Michelin Guide's Bib Gourmand-winning restaurant (2012, 2013) that specializes in authentic barbeque, featuring smoked Texas brisket, Carolina pulled pork, Memphis dry rub chicken wings and signature homemade sides such as Hush Puppies and Mac-Q-roni. The counter-service, fine casual restaurant has locations in downtown LaGrange, downtown Naperville, Schererville, IN and Oak Park. Q-BBQ offers weekend brunch, beer and wine, take-out, and catering, plus retail sales of its three signature sauces. For more information, visit www.Q-BBQ.com, Facebook.com/EatQBBQ, or Twitter.com/EatQBBQ.